With much help I recreated the film 2 Fast 2 Furious in Miami-Dade County on April 7, 2017 as a part of the O, Miami poetry festival. We substituted action scenes with readings of poems. The film is in post production. To commemorate the event I wrote a chapbook of poems inspired by The Fast and the Furious franchise, The Fast and The Orpheus. Founded in 2011 by Kathleen Rooney, Eric Plattner and myself, Poems While You Wait is a Chicago-based impromptu typewriter poetry collective. We bring our typewriters to public places and take topics for a $5 donation to Rose Metal Press. Frequent venues include The Adler Planetarium, The Museum of Contemporary Art, Dose Market, and Chicago's summer street festivals. PWYW now boasts 25+ poets of all ages and backgrounds. Suicide by Jaguar is my first full-length collection of poems. 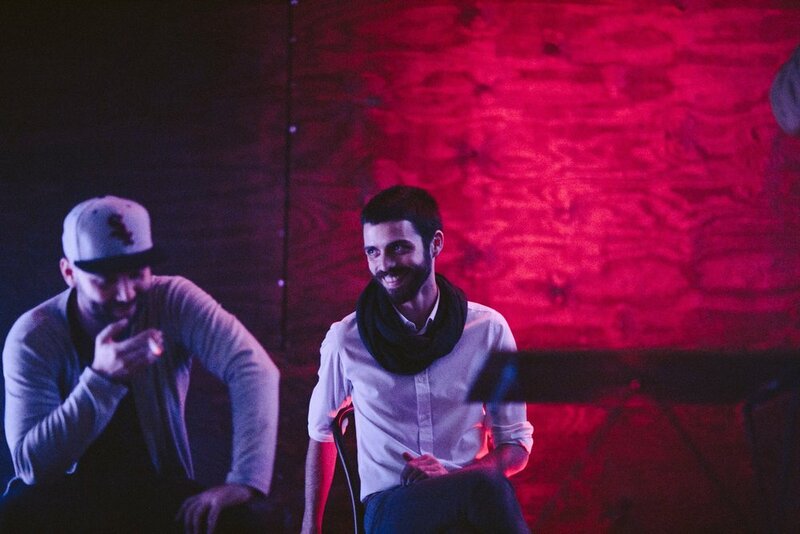 The poems were written during 2008-2013 in Chicago, IL and Miami, FL. The experience of having my poems translated into Spanish by JV Portela was the most rewarding part of the publishing experience. I am grateful that this book can be read by most of the Americas. You can purchase Suicide by Jaguar at Jai-Alai Books. from BEEF JAMS: "Timeout" on VICE. Art by Greg & Fake. 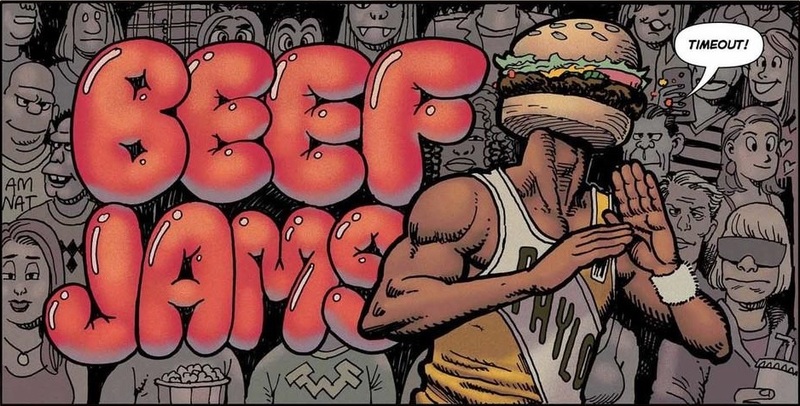 Beef Jams is a comic book that follows a team of basketball playing truckers and their All-American mascot, Phylo the Cheeseburger. Beef Jams was created by co-writer Marc Koprinarov and myself, along with the illustrators Greg & Fake. Together we are American Nature Comics. Beef Jams is currently being published on VICE and has previously been published by Image Comics. 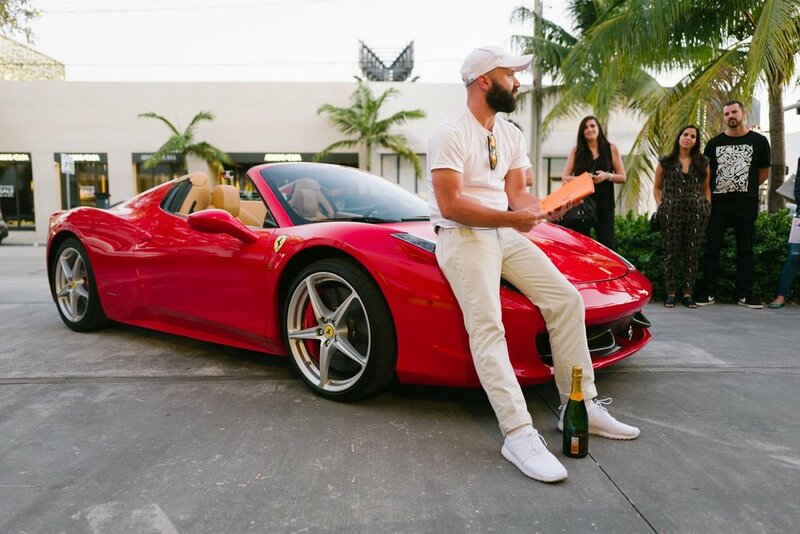 I drove a Ferrari 360 Spider around Miami-Dade on April 27, 2011 and read poems to strangers. Poetry Ferrari on Lincoln Road & Meridan Avenue, Miami Beach.